Mountainfilm on Tour brings a selection of culturally rich, adventure-packed and incredibly inspiring documentary films curated from the Mountainfilm festival held every Memorial Day weekend in Telluride, Colorado. 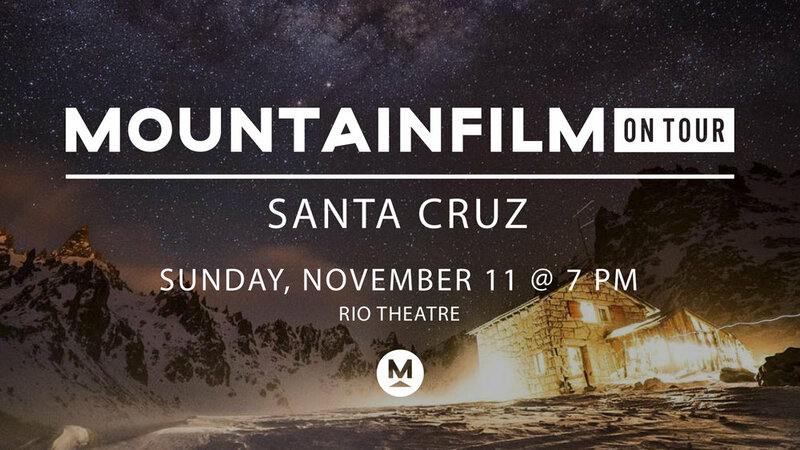 The tour visits Santa Cruz at the Rio Theatre on November 11 with films that will explore the themes connected to Mountainfilm’s mission: using the power of film, art and ideas to inspire audiences to create a better world. A Mountainfilm presenter will guide the audience through the program providing insight on the films, filmmakers and subjects. Christopher Newman’s short, lyrical visual poem was inspired by and is an homage to Wallace Stegner’s 1960 “Letter to Congress,” in which the writer advocated for the preservation of the wilderness that then remained. “Something will have gone out of us as a people if we ever let the remaining wilderness be destroyed,” Stegner wrote. In hindsight, the 1960s were hopeful; today, the exhortation is more urgent than ever.